A visiting Fulbright Scholar will give an insider's perspective on the past, present and future of Iraq at the University of Kentucky tomorrow. Mohammed Saeed, a Fulbright Scholar in the Department of Statistics pursuing a master's in public health in UK's College of Public Health, will discuss the "Recent History of Iraq, U.S. Involvement and War and Current Issues" at 7 p.m. Tuesday, Nov. 29, in the William T. Library. There will be a reception in the Keeneland Room after Saeed's talk. 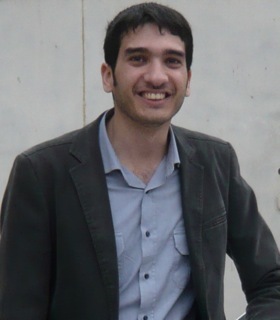 Saeed was born and raised in Baghdad and arrived at UK in 2010 after receiving a Fulbright scholarship. The visiting scholar plans to discuss the Iraq-Iran War; the Gulf War; life under Saddam Hussein's regime; the 2003 war and its aftermath, the politics, the economy, the sectarian conflict; and Iraq's future. He will relate the facts and statistics of most of the major events that took place, while also sharing personal stories related to the wars and conflicts. Saeed will also try to answer questions about justification of the war; Iraqi freedom before and after the war; and U.S. troop withdrawal. "These are all complex issues, and there are no easy answers, but I will try to explain the multiple perspectives related to each one," Saeed said. "The U.S. had a big influence on what happened in Iraq long before the 2003 war. I think it would be interesting for American people to learn about their country’s involvement in Iraq and what Iraqis think of that." Saeed's talk is sponsored by the Central Kentucky Council for Peace and Justice; Students for Peace and Earth Justice at Bluegrass Community & Technical College; the UK Office of International Affairs; and the UK Second Life Perennial Peace Garden.